A select group of people (namely, those who preordered, and a few others), got to try out The Division 2 over the weekend. However, it looks like even more players will be able to take back Washington D.C. in the near future. Ubisoft hasn’t officially commented on it yet, but one of the developers (seemingly unintentionally) let it slip that an open beta for The Division 2 is indeed coming. Now, The Division 2 having an open beta shouldn’t come as a surprise. Most online games do have an open beta following a private beta. However, there hasn’t been any word on any sort of open beta yet, which is slightly surprising. However, now that the private beta has come and gone, we should be hearing more about an open beta soon. 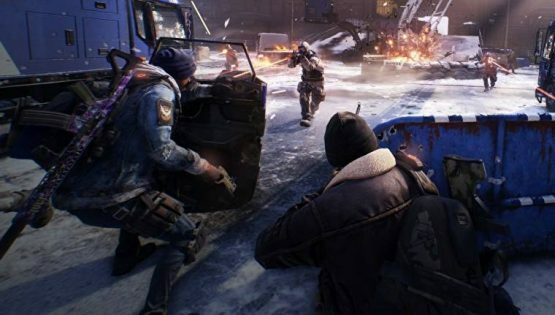 We certainly have plenty of time before The Division 2 launches on March 15, 2019. We’ll probably see an open beta sometime in late Feburary or early March. Obviously, there’s no word on what this open beta would feature (since it technically doesn’t exist right now), but the private beta was already pretty chock-full of content. It remains to be seen if the open beta would add any extra content. Regardless, it seems that the team is at least going to try to fix the issues that plagued the private beta. It would definitely be in Ubisoft’s favor to fix these issues before the beta goes public. The Division 2 will release on March 15, 2019 for the PlayStation 4, Xbox One, and PC.